A grand gift that's full of sunshine! 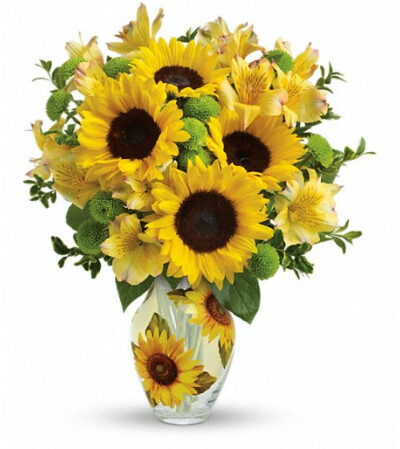 Cheerful alstroemeria and bright sunflowers are artistically hand-arranged in a classic vase decorated with sweet sunflowers. 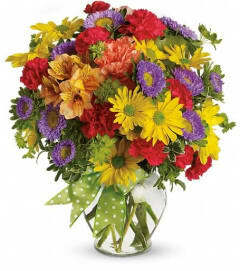 Yellow alstroemeria, medium and small sunflowers and green button spray chrysanthemums are accented with fresh greenery. 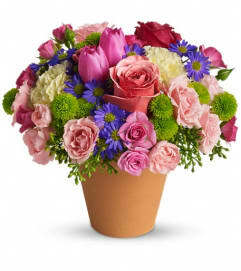 Delivered in a Simply Sunny vase.